At Grange we have a great range of used Land Rover Range Rover cars available for you to view today. 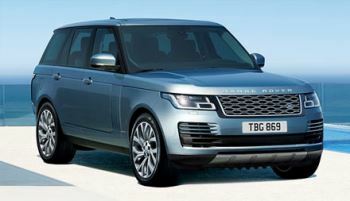 It has been said by many that the current Range Rover is most probably all the car you will ever need for any occasion. Boasting the kind of performance and brand desirability to make all other 4X4 manufacturers green with envy, the Range Rover has been the mainstay of a considerable number of both countryside and suburban dwellers for a number of years. So what keeps the enthusiasts coming back to the Range Rover Dealers again and again? There is no single answer to this question; there are, however, a number of tangible reasons as to how the Range Rover has risen head and shoulders above the competition. 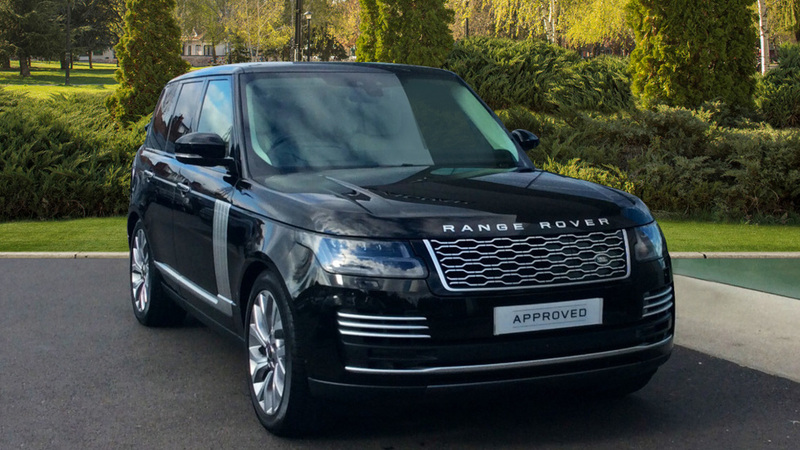 The ever-popular TDV8 engine has become one of the most enthusiastically described engines in recent memory providing all the power and torque you could desire, yet retaining respectable mpg ratios ensuring that the Range Rover can be used as the perfect day-to-day vehicle. If you are interested in owning a quality Used Land Rover Range Rover enquire with us at either Grange Land Rover Barnet, Grange Land Rover Swindon, Grange Land Rover Hatfield or Grange Land Rover Woodford. This vehicle has been fitted with £3,635 worth of optional equipment including HeadUp Display, Cabin ir Ionisation, Homelink. Integrated ROW 1 Fridge, Extra Large additional Washer Bottle, Privacy Glass, Solar Attenuating windscreen, Foot pedal - metal finish, Powerpoint Plug, Pixel LED. Standard specification highlights include Sliding Panoramic Roof, 21inch Alloy Wheels, Front Seats - 18x18 Way with memory, Cooled/heated Front and Rear Seats, Configurable Ambient Lighting, Cruise Control with Queue Assist, Front fog lamps, Lane Keep Assist, Driver Drowsiness Monitoring, TSR/ Adaptive Speed Limiter, Park Distance Control Sensor Front, Rear Parking Aid, Surround Camera System, Blind Spot Assist, Perpendicular Park Assist, Reverse Traffic Detection, MFD Single View Screen, TV Receiver Digital, On Board Television - Front, Electronic Air Suspension, Adaptive Dynamics, Heated Wood/Leather Steering Wheel, Heated Front Windscreen, Starter System - Stop/Start, 4 Zone Climate Control, Voice Control, DAB, Meridian Surround Sound System, InControl Apps, Pro Services and Wi-Fi Hotspot, SOS/Assistance Call.